The Polish apple invasion into China is finally underway. Multiple traders from Poland already mentioned China was next on the list, but certificates made things harder than they needed to be. However, 2019 might be the year for China to fully feast on sweeter, juicier apples. Besides Poland, Chile, New Zealand and the United States are also trying to get their apples into China: “Despite the trade war, the US is still a big player when it comes to selling apples to China. We do see our first stage with bicoloured apples is now over. 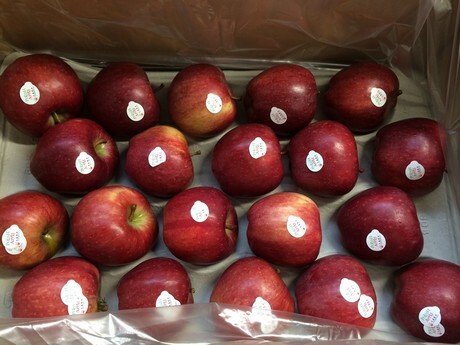 We’re about to start shipping Red Delicious and Red Jonaprince apples, which are sweeter in taste and a lot juicier, qualities that Chinese consumers appreciate in apples. We don’t ship green coloured apples (Golden Delicious) which are currently in very high demand in Europe, but also in Egypt and India. 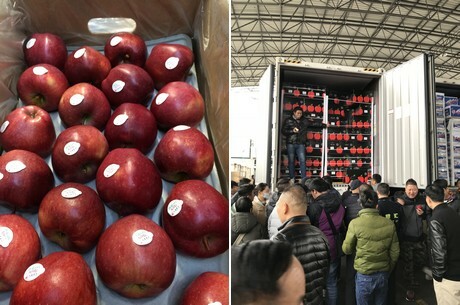 Chinese consumers don’t prefer these apples, so we can focus all our red coloured apples to China, while still being able to sell our green coloured apples across the globe.” Glijer states.